At Microsoft, Michael Schultheis used math to make software, which is now part of our daily life. Today, Michael channels his passion for math into visual, conceptual storytelling. Each one of his paintings is layer-upon-layer of formulas and their geometric shapes. For those able to read those formulas, each canvas is transformed into three-dimensional space, and for others they are simply beautiful, intriguing abstractions. Using the timeless language of mathematics, he explores how geometric models can be a vivid way to understand human stories. 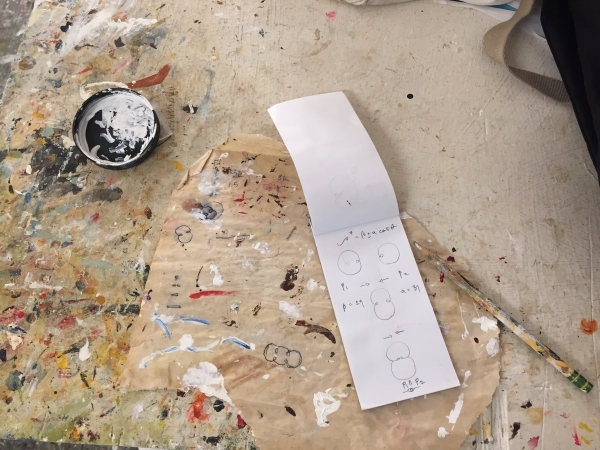 In addition to painting the geometric shapes that he uses to tell his stories, Michael includes the equations from which those forms were derived. This is true conceptual geometry in art. Film produced by Seattle based photographer Deb Achak. Special thanks to Winston Wachter Fine Art.